As Christmas approaches and thoughts turn to family and friends, the holiday season is presented to us within conventional parameters by mainstream media. 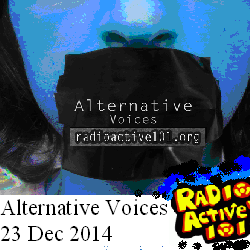 However, RadioActive101 will be broadcasting a show that presents ‘alternative voices’. The show reminds us in no uncertain terms of a reality for many people at this time of year – homelessness, exclusion from the education system or dealing with the complexities of addiction. Please join us at 4pm (UK time), Tuesday 23 December 2014.